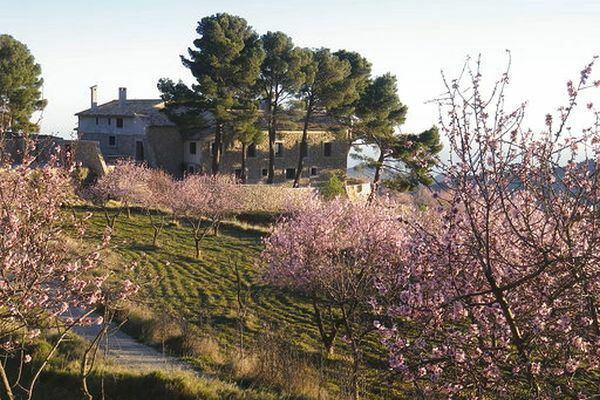 The country houses of La Torreta de Aitana rise to 1,020 meters to offer you a quiet and comfortable stay in the middle of the mountains. You can enjoy here the greatest activity or the purest calm, that’s on you! Can you picture a house at the top of the mountain, in the middle of one of the most admired natural mountain ranges of the Region of Valencia? Stop imagining, it just exists and we call it La Torreta de Aitana. 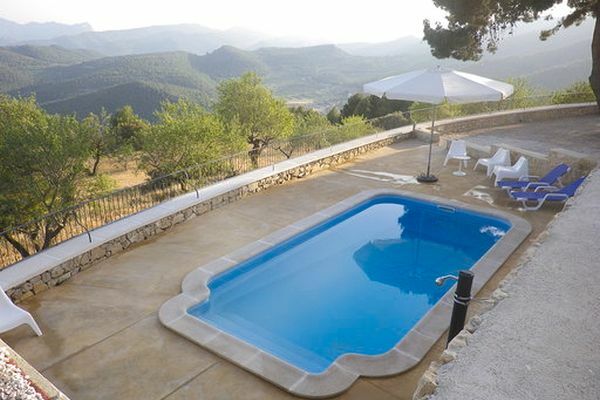 Located in Confrides, the complex consists of two beautiful and large houses, surrounded by the impressive views of the Sierra de Aitana. 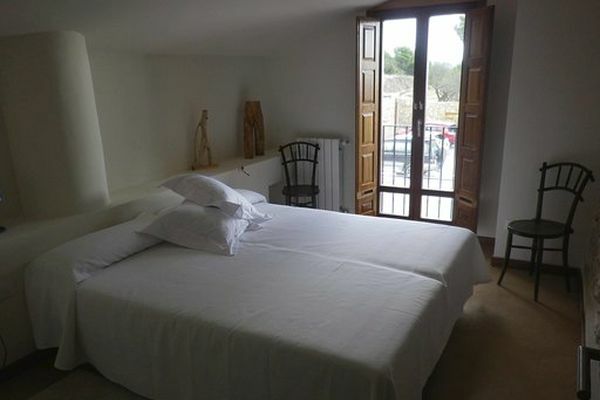 Due to its location, from La Torreta de la Aitana the guest will enjoy a panoramic view of the peaks as well as the sea that surrounds Villajoyosa to the territory of Murcia. 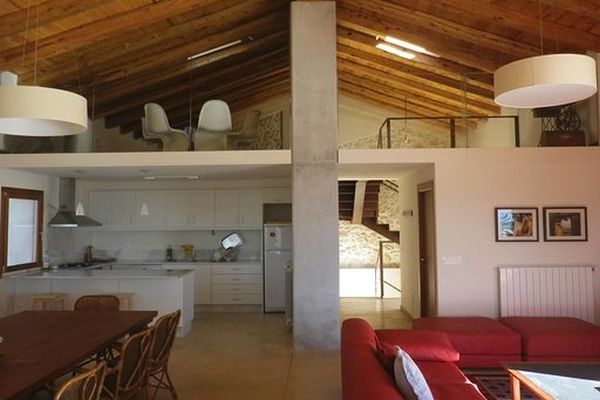 The two houses are self-sufficient and respectful with the environment and are ideal for spending a few days in the mountains with friends. 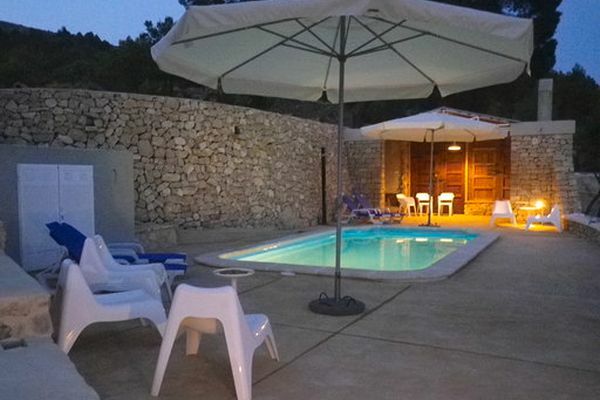 Enjoy outdoor activities, gastronomic tastings and cultural visits to nearby towns, such as Penáguila and its Jardín de Santos or the very well-known Castell de Guadalest. In the first house, there are four double rooms, two of them with a bathroom. Two fireplaces embellish the space, which also has a wood-burning oven, a living room and a fully equipped kitchen and dining room. The second house has four bedrooms with a bathroom, and one of them is adapted for disabled people. In addition to a living room, dining room and full kitchen, there is also a playroom. You might want to live there! Confrides is a mountainous area with rocks, ranges, ravines, natural fountains and gorges. Some touristic spots in the surroundings are the Castle of Aljofra and the Trinquet of the Abdet. Enjoy them!